Here's just one of the many freebies that THE DIGICHICK is having right now. They are celebrating their 5 years anniversary and tehir designers are gicing away some digital scapbooking kit freebies for us to enjoy. 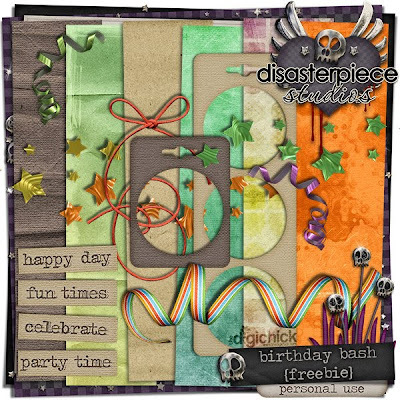 You can click the image to download at the designer's blog (disaster piece studios). While hoarding some freebies online, I also need to look into this term life insurance quotes that my SIL sent on my email. I also hope to scrap or design a kit later.